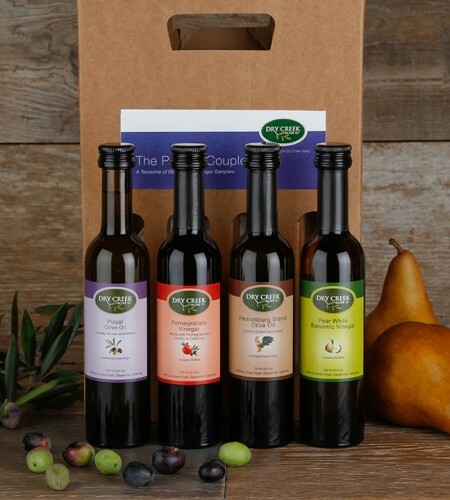 Looking for the perfect way to begin sampling our delicious extra virgin olive oils? 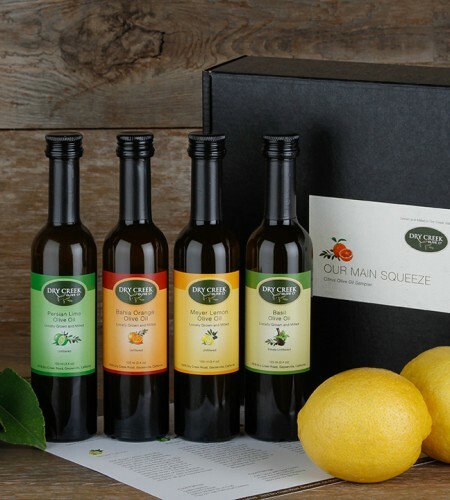 Our Duos make wonderful corporate, housewarming or “just because” gifts. 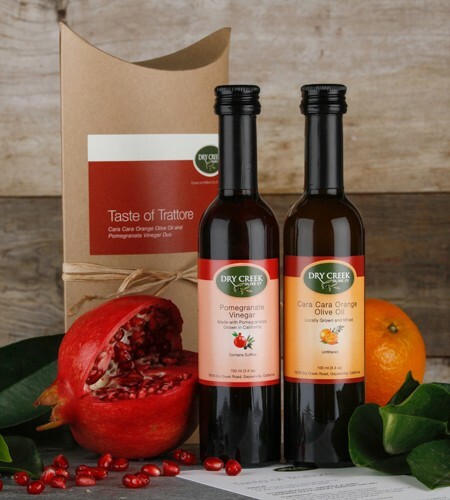 Two 100ml bottles come packaged in a craft gift envelope and include a recipe to get you started cooking! 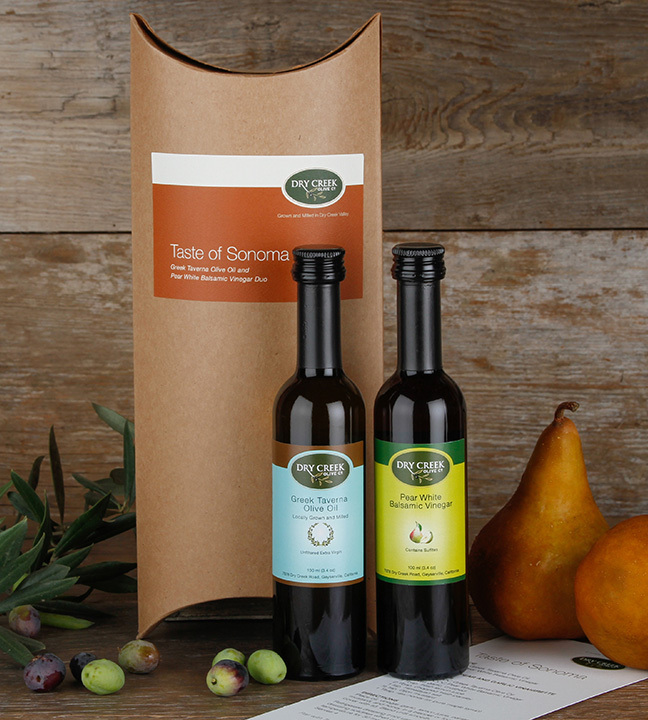 Our Taste of Sonoma Gift Set includes our Greek Taverna Olive Oil and newest favorite, our Pear White Balsamic Vinegar. 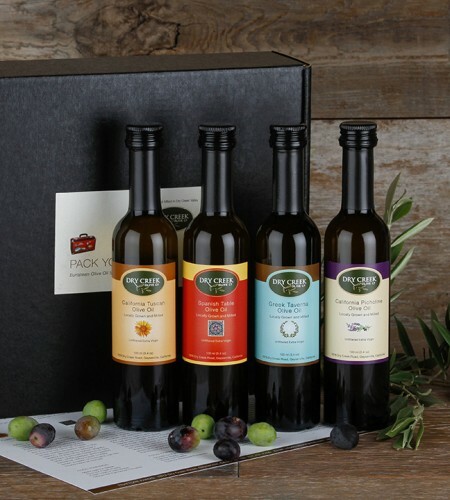 A blend of Greek Koroneiki and Kalamata olives, this oil transports your tastebuds to a Greek "Taverna" or restaurant, while the Pear vinegar harkens to local pear orchards and the flavors of fall. 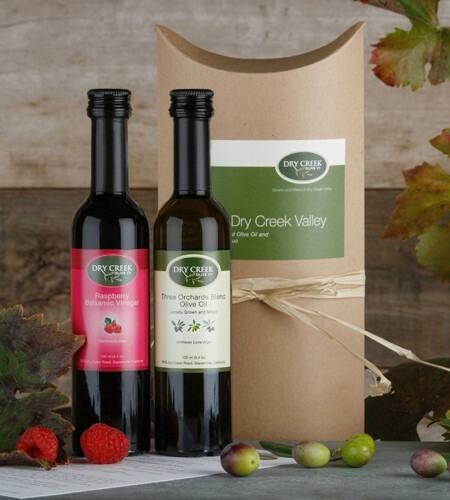 This is a beautiful sampler kit for all occasions. 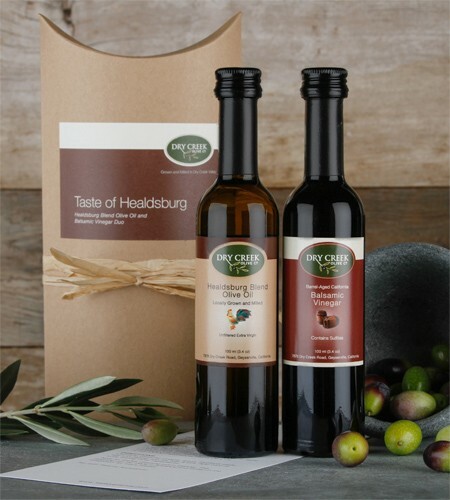 Includes two 100ml bottles - Greek Taverna Extra Virgin Oil Olive Oil and Pear White Balsamic Vinegar with a recipe in a pillow pouch gift box.